Bishop’s Palace at Wells to be sold? 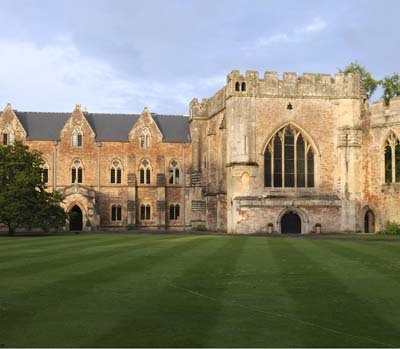 Last month, the Church Commissioners announced that the Bishop’s Palace at Wells, Somerset, would cease to function as the Bishop’s residence. A short statement said: ‘The Board of Governors took the decision to provide new housing for the Bishop of Bath and Wells to enable him to carry out his ministry and mission in a more sustainable way.’ At present, they are buying a temporary alternative house for the Bishop outside Wells. It is on the market at £895,000. The announcement has come as a profound shock to many people locally, including the MP Tessa Munt, who is asking questions in Parliament. No adequate attempt was made to canvas opinion on the decision or to prepare the ground for it. It seems the Commissioners are happy to leave themselves open to charges of high-handedness, and to behave in a way unthinkable for other modern public bodies. For anyone who has followed their attempts to sell the historic see houses at Hartlebury, Rose or Bishop Auckland (over which they were forced into a humiliating-if remunerative-climbdown), the manner of this announcement is depressingly familiar. And the flimsy reasons for terminating this long tradition of occupation suggest a common ultimate but as yet unannounced-intention: the sale of the palace. In the other cases, the Commissioners pleaded costs and charitable obligation as the pretexts for sale. At Wells, however, the situation is different. The historic palace stands in the shadow of the cathedral. Walled and moated, its buildings overlook the pools of welling water that gave the city its name. They are also integral to the medieval layout of Wells. The centrepiece of the 14-acre gardens is the remains of the great hall, built in about 1280 and deliberately ruined for picturesque effect. Recently, responsibility for running the palace and gardens has been vested in The Palace Trust, which has charitable status. This arrangement has made it possible to attract grants for the repair and presentation of the site, including a new cafe with the support of the Heritage Lottery Fund. The Bishop has occupied one wing of the building, the maintenance of which remains the responsibility of the Commissioners. One has to ask what new house could possibly be more convenient than one within-almost literally-a stone’s throw of both the Bishop’s offices and cathedral? How can a new house of any size possibly be cheaper to purchase and refurbish than a pre-existing building? This is particularly true as it’s reported that the apartment requires no substantial repairs or investment to make it habitable for the new Bishop. At a stroke, the Commissioners have effectively relegated this marvellous building from the status of official home to that of ancient monument. Anyone who loves Wells must regret that. It has been done in a way calculated to alienate the people most directly touched by the decision. And to compound their fault, they have made no clear statement of their future intentions for the palace. The experience of Bishop Auckland should have chastened the Church Commissioners. Unfortunately, it seems to have encouraged them to try their luck.